A crystal ball. Every mother and father wishes they could look, could peer with squinted eyes into the future of their children. Where are they going? What will they be? Will the future bode well? Ray Baldwin didn’t have the luxury of a crystal ball. Neither did his wife, Bessie. to the Will Rogers Memorial in Fort Worth, Texas, on a chilly December night. He’s there to view his cutting horses at the National Cutting Horse Association Futurity. He socializes, he cheers, he watches the horses and the competition. But first, before everything else, he notices his father. He sees, he feels his father in the decorative tile murals that line the outside of the Coliseum. his wife, Corliss, and children: daughter, Laura, son, Ray, and daughter-in-law, Jennifer. Family time at a cutting – very different from the kind Louis expected when he was a fast-charging executive in the city. But it’s now, it’s today, and this passion for cutting horses is what cements the parents, the children. Retirement of the not-so-relax- ing variety. The draw wraps up, awards go out and everyone goes home. The Baldwins go their separate directions, but they always wind up back at their Waco Bend Ranch. It’s home, it’s future. It’s home to many great cutting horse stars, including Dont Look Twice, this year’s NCHA Horse of the Year. It’s the future of equine generations to come, the outcome of a sound business plan, impeccable breeding and patience. The crystal ball of the cutting horse world – the Baldwins can’t see that, either. 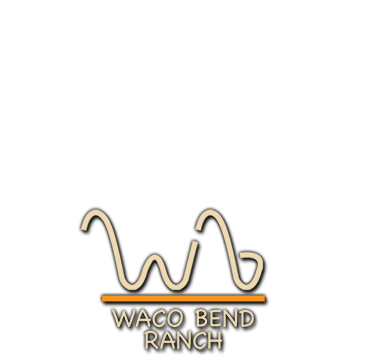 But they have a good idea of where their Waco Bend Ranch is headed. Fort Worth was a different town in those days, back in the 1950s and ’60s. According to Louis Baldwin, it was a place where neighborhood kids played outside all day long, no one locked their doors and a little boy and his friends could ride their bicycles on Camp Bowie, catch the bus and go down- town to watch a movie. Baldwin’s parents, Ray and Bessie, were older – 45 and 43 – and had four older children when their last son, Louis, arrived in 1949. By then, Bessie was ill and Louis remembers her not feeling well for most of the time he was growing up. She passed away when he was just 12. Ray was a con- tractor who specialized in marble, tile and terrazzo. Eventually, Ray owned his own busi- ness and realized a good bit of success as growth boomed in the Dallas-Fort Worth area. Ray grew up near Dublin, Texas, and his dad passed away when he was 14. He moved to Fort Worth to live with a sister. Economic times were tough, so he dropped out of school after sixth grade and became a laborer. Bessie was from the Houston area and she met Ray while he was working on a mansion outside of Houston for Ross Sterling, governor of Texas (1931-1933). They were married in 1926. When Bessie was alive, the young Louis enjoyed limitless free time and time with his friends every day after school and all sum- mer long. When his mom passed away, that all changed. Louis graduated from high school, worked for the summer and then headed south to Austin to attend the University of Texas in the fall of 1967. Of course, there were stud- ies, but there were also good times, fraterni- ties and the extracurricular activities that go with the first year away from home. But life can change in a moment, or in Louis’ case, a week. Louis was still a freshman when his dad died. Five days later, his girlfriend, whom he had dated since high school, was killed in a car wreck on her way home from school in Mississippi. By then, his four older siblings – three sisters and a brother – were married and had families of their own. They took charge of their brother, making sure he tended to business. to work in the family’s business and before long was making $200 a week as a tile setter, which were darn good wages for the time. It was certainly enough money to court a young lady he’d met at school. Louis was supposed to pick up Corliss Roberts for a blind date one evening in the fall of 1968. She was the sister of one of his fraternity brothers. First, he was two hours late picking her up. Then his idea of a nice first date was going to a fraternity party, which probably would have been fine if some girl hadn’t drank too much and locked herself in the bathroom, a situation that required the house manager – Louis – to intervene. Needless to say, the first date did not go as planned. Afterward, sitting outside around midnight, Louis attempted to salvage the situation. A romantic moment, a life-changing moment … then Louis’s fraternity brother – one Louis was in the middle of characterizing as “such a nice boy” – came by in a car with a bunch of friends. He proceeded to wave and then back up to the car window and moon the young couple. She could have changed her mind then and there, and probably completely justified. Now, 43 years later, Corliss is still sure she made the right decision. had an impeccable report card at the end of the 1969 spring semester, after which she returned home for the summer. It’s about a two-hour drive from Fort Worth to Wichita Falls, but the distance wasn’t so bad for a young couple in love. Louis and Corliss continued date and they married in August 1969. Of course, her parents were concerned about their 19-year-old daughter marrying a 20-year-old construction worker. “They were a little apprehensive, but I was being my ole stubborn self,” Corliss recalled with a laugh. As for Louis’ parents – his brothers, sisters and their spouses – they were cau- tiously optimistic. As Corliss recalls, Louis nods his head in agreement, adding, “Corliss saved me, she and Mac Churchill, a fraternity brother of mine [who now owns a car dealership in Fort Worth]. I am sure I would have ended up badly, if it weren’t for Corliss and Mac. I had just spiraled out of control. Although Louis made a comfortable income as a tile setter, his cousin pointed out that, yes, the money was good now, but it would never get much better. He continued to explain that Louis would be better off to bite the proverbial bullet now, give up the money and go back to school. Louis looked at his dreams, he looked at his young wife – the logic made sense. He returned to Austin and enrolled in time for the 1969 fall semester. Louis and Corliss arrived in Austin with- out a job but with a plan. Deal was: she’d go to work full time so he could concen- trate on school. Corliss found a job at a doctor’s office, and Louis enrolled in the business school. Also turning were his grades. or at class until I picked her up. So I really had very little work to do at home usually because I had done it during that time. I learned how to take notes in class and all the habits I didn’t have either in high school or early in college, and I was able to develop them. I found out that what you enjoyed doing was kind of fun. The University of Texas, at the time, did not require MBA students to first obtain five years of real-world working experience, as it does now. Therefore, Louis was able to go straight from undergraduate studies into the master’s program, on the fast track. His grades were good enough that most his graduate-level education was paid for by scholar- ships. His and Corliss’ living expenses were covered by the money she made at her full- time job. Louis graduated with his MBA in finance in 1973 and relocated to Shreveport, La., where he had been hired to be the assis- tant to James Conley, president of Beaird- Poulan, the company that manufactured Poulan chainsaws. When Louis and Corliss made this move, they had been married 3 1/2 years, and their daughter, Laura, was 2 months old. Louis worked for Conley for four years, until Beaird-Poulan was bought out by Emerson Electric. He still speaks fondly of his first boss and the lessons learned during that time. “From him and my dad, I learned this hard line about right and wrong and that you can’t cut corners,” Louis said about Conley. “You have to do things the right way and you have to kind of be true to yourself. You don’t always know what the answer is, but you know what the process is and you know what side you want to end up on. When one hears about the success of another, it’s as though it happened overnight. School, job, success – boom, boom, boom. Truth is, it’s never like that. When Beaird-Poulan sold, a new president came in and the work atmosphere just wasn’t the same, and Louis decided to move on. He found a job with Southland Royalty Co., a Fort Worth, Texas, oil company. At the time, Jon Brumley was CEO and Bob Simpson was vice president of finance – those are the men for whom Louis worked. Against the backdrop of finance and accounting, Louis learned about the acquisition of oil and gas proper- ties and subsequent financial management of those assets. takes offer straight to stockholders). Needless to say, once Burlington put its new manage- ment staff in place, Brumley, Simpson, Louis and several other executives found them- selves without jobs. By now, the Baldwins had two children, Laura, who was 14 and Ray, who was 9. Simpson, Brumley and Steve Palko, who had been vice president of reservoir engi- neering at Southland, decided they’d get together and see if they could get a business of their own up and going. That was in the spring of 1986. The partners – Simpson, Brumley and Palko – named their new company Cross Timbers Oil. Cross Timbers refers to a vast swath of land that begins in south Kansas, extends through Oklahoma and ends in Central Texas. It separates the populated Oklahoma City from the plains to the west, and it divides urban Dallas from Fort Worth. In the 1800s, Cross Timbers literally separat- ed the settled areas from the untamed Indian land and open plains. “The company has a bronze that Jack Bryant up in Jacksboro made, called ‘I’ll be back,’ ” Louis explained about what adorned the offices of the original Cross Timbers Oil office. “It’s a cowboy riding, and he is gallop- ing on a horse. His shirt is all torn, and he has lost his guns, and he is waving his fist. Brumley led the way as chairman, Simpson was CEO and Palko was president and over- saw the engineering. They hired Baldwin as treasurer. Brumley and Simpson were hard-edged leaders, and everybody there was determined – they didn’t mind the risk and sacrifice, as long as their eyes stayed on the ball. The partners did not initially draw a salary, and lean times meant that execu- tives shared desks with administrative staff – everybody was in for the long haul. The rise of Cross Timbers Oil was noth- ing less than meteoric. It was incorporated in 1990 – the same year Baldwin became CFO – and went public three years later. According to company literature, at that point the company had 40 million barrels of oil reserves with revenues at $92 million and a net income of $7.1 million. Once the IPO was completed, Cross Timbers had a market cap of $200 million. Indeed, these men were back. Millions and millions were invested to build Cross Timbers oil, and it went through several changes – details could fill volumes. Simply stated, the company’s basic strategy was to step in and purchase high-quality oil and natural gas reserves, then upgrade and extend them to the fullest. The objective was contrary to what other oil companies were doing – Cross Timbers bought when the mar- ket was down and scaled back acquisitions when times were good. Ray Baldwin remembers his dad working at all hours, but he also recalls that Louis carved out time for his family. “He was home late every night, but he was there for dinner. Even though he worked very hard, it wasn’t his entire life. There were also lean, lean times. Challenges were major when the bottom dropped out of the oil market in the late 1990s, when the per-barrel price plunged from $40 to $10. Although it was not the first period of uncertainty for the Baldwins, this was far different from what it’d been when Louis was just starting out. “It was just kind of a good learning experience,” Louis said about the rough times. “Honestly, the less you have to lose, the less traumatic it is. I didn’t think that it was such a big deal [in the 1980s] and yet, 1998 and 2008 just seemed like terrible, terrible things because you had something and then you are in danger of not having it. In the ’80s, we were just working stiffs. You just had a job, and if that didn’t work out, you would go get another job. But after you kind of move up and there is something to lose, it somehow gets scarier then. Yet, the late 1990s oil market drop played into risk-takers’ hands. Cross Timbers took on debt and bought all the reserves it could, plus it made the move – one that was unconventional at the time – from oil to natural gas. The company spent nearly $1 billion between 1997 and 1999. Company history states that Cross Timbers lost $71.5 million in 1998. But a sharp rebound in fuel prices pushed the bottom line to black a year later, and into the strato- sphere from there. By 2001, the year the company changed its name to XTO Energy. It was one of the largest independent owners of natural gas reserves in the United States, with net income topping $250 million. Professional jazz played on full volume. The stress was intense. Of course, there’s another side. Louis found that while his family loved him and they were a solid unit, there was a bit of a disconnect. That opportunity would soon avail itself. Louis calls it “being a good dancer.” It’s knowing the best time to find the song, best time to pick a partner, best time to leave the dance floor. By mid-2009, XTO Energy had 3,500 employees and was the largest producer of natural gas in the United States. That’s also when a deal was struck to sell the company to Exxon for $36 billion. The sale kept the company in Fort Worth, it benefited the shareholders, and it allowed Louis to take a little closer look at his ranch by the river.